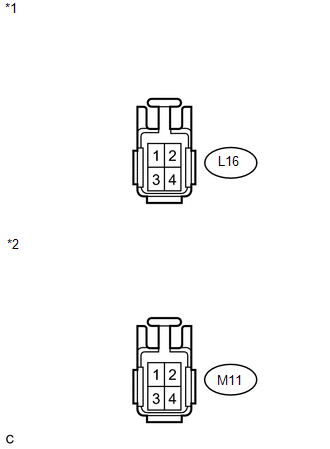 (a) Disconnect the connector from the rear combination light assembly. (b) Measure the voltage according to the value(s) in the table below. If the result is not as specified, repair or replace the wire harness or connector.